Since the real estate sector in the Kingdom of Bahrain is a growing sector with a never ending number of projects whether residential or commercial, one should expect that 2017 will witness more luxurious and attracting real estate projects in Bahrain that equally match the brilliance and well-crafted developments of previous years. Which is why, we rounded up 5 major real estate projects in Bahrain that are set to commence during 2017 and are expected to make a tremendous breakthrough in Bahrain’s real estate market. 2017 will mark the re-launch of the stalled Villamar Project, the first residential development in Bahrain Financial Harbour. 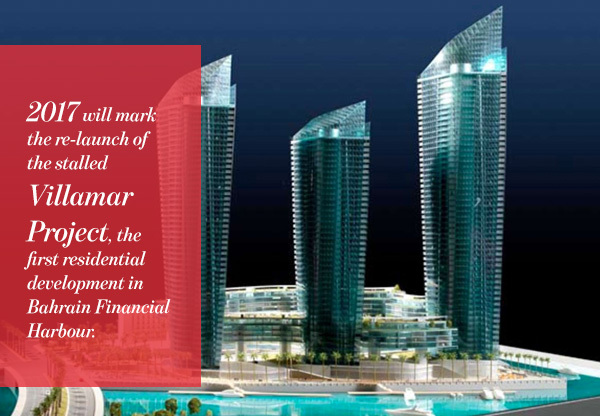 Setting new standards for Bahrain’s real estate market, the 700 Million Villamar Project consists of the distinctive towers of 54, 52 and 43 storey buildings. The project is considered a mixture of hotels and residential units which includes a number of luxurious amenities and facilities such as health club, spa, swimming pool, cafe’s, restaurants among other deluxe services as well. 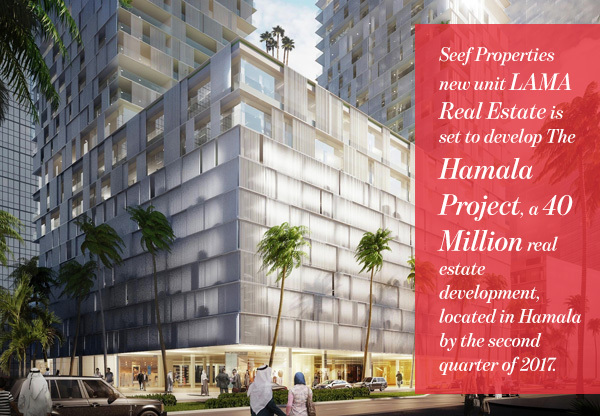 Seef Properties new unit LAMA Real Estate is set to develop The Hamala Project, a 40 Million real estate development, located in Hamala by the second quarter of 2017. The project is expected to get completed by the end of 2018. 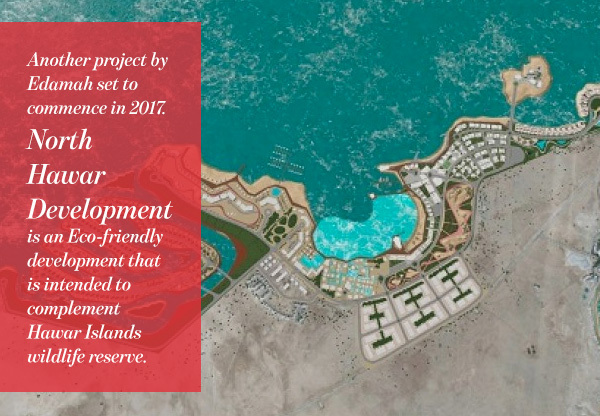 The Hamala Project is a mixed-use project in Kingdom of Bahrain which according to the developer statements, is expected to be the latest integrated destination in the area which attracts residents and tourists alike. 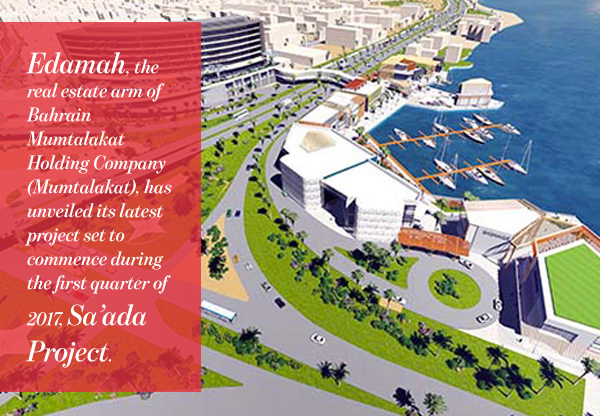 Edamah, the real estate arm of Bahrain Mumtalakat Holding Company (Mumtalakat), has unveiled its latest project set to commence during the first quarter of 2017, Sa’ada Project. Being developed in two phases, the first phase will include a number of facilities such as restaurants, cafes and a marina among other entertainment services, whereas the second phase will witness a 4-star hotel that includes a multi-storeyed parking lot. One more delayed project that is set to revive by mid January 2017. 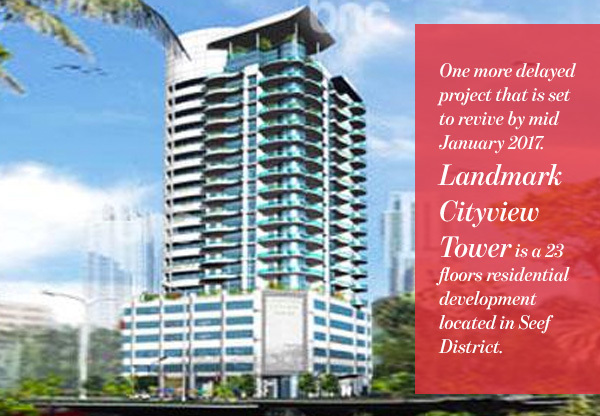 Landmark Cityview Tower is a 23 floors residential development located in Seef District. With a total of 88 apartments with one bedroom, two-bedrooms and three-bedrooms, Landmark Cityview Tower lies adjacent to Dana Mall and consists of numerous entertaining and recreational facilities. Another project by Edamah set to commence in 2017. North Hawar Development is an Eco-friendly development that is intended to complement Hawar Islands wildlife reserve. The development’s first phase comprises of a five star lagoon resort as well as 150 Eco-friendly villas and apartments. As for the second phase, it will include a renovated version of the 100 year old Hawar Mosque in addition to a bird research center, a hotel, villas as well as wellness spa and resort.